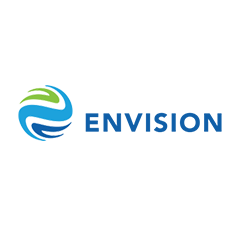 29 November 2017, Amsterdam– Envision Energy, a leading global smart energy solution provider, announced today a new strategic partnership to advance research in renewable energy forecasting. This multi-year collaboration, the first of its kind, brings together Envision Energy, the European Centre for Medium-Range Weather Forecasts (ECMWF), the Met Office (the UK’s national weather service), and Aarhus University (BTECH CET) to collaborate on new methods, models and technologies in order to advance research in renewable energy forecasting. “The purpose of this alliance is to work together to advance scientific knowledge in renewable energy forecasting, to accelerate the adoption of sustainable energy solutions globally. Envision is committed to creating a sustainable future through developing advanced technologies in an open and collaborative way. We are dedicated to making clean, affordable and sustainable energy a reality,” Envision founder and CEO Lei Zhang said. Improving forecasting models can increase the accuracy of energy resource assessments and improve the ability of the grid to plan for renewable energy inputs, helping to lower the levelized cost of wind and solar energy. The partnership has the scientific expertise, supercomputing resources, wind and solar generation data, and partner ecosystems to develop and validate innovative new power forecasting methods and models. The initial phase of the research collaboration has focussed on improving wind and solar power generation forecast accuracy using state-of-the-science data, models, algorithms and supercomputing technologies. Subsequent research phases are expected to extend this work into enhanced forecasting services for power grids, e-mobility, and optimised energy management for buildings, industrial microgrids and smart cities. More announcements from the partnership will be coming soon. For details, see www.envision-energy.com. Envision Energy is one of the world’s largest smart energy management companies with over 100GW of connected energy assets to its Energy IoT platform and among the ten largest turbine companies in the world with more than 12 GW of Envision smart wind turbines in operation. Based in Shanghai, Envision has regional offices across Asia, Europe, North and South America and has established global R&D and engineering centers in Denmark, Germany and the United States. Envision’s mission is to “solve the challenges for a sustainable future”. The company is committed to creating a sustainable future by revolutionizing the energy industry through advanced technologies.